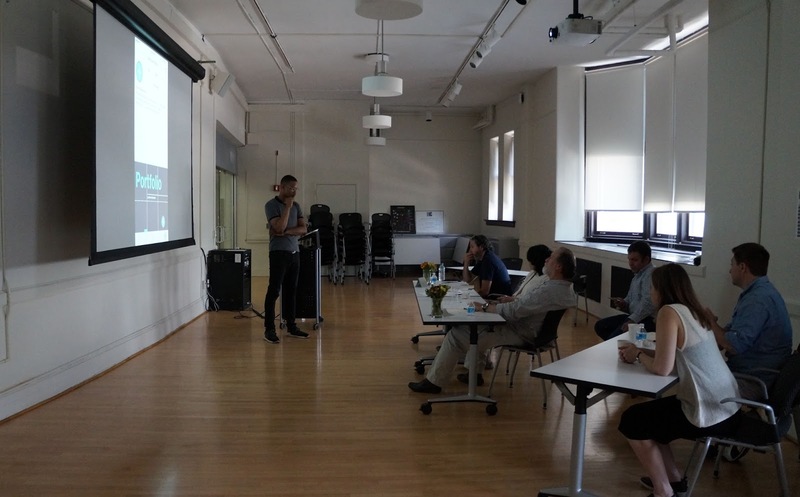 After completing coursework in mid-May, students in the Class of 2016 had one more hurdle before receiving their MPS diploma: each needed to defend a portfolio in front of a panel of professionals. 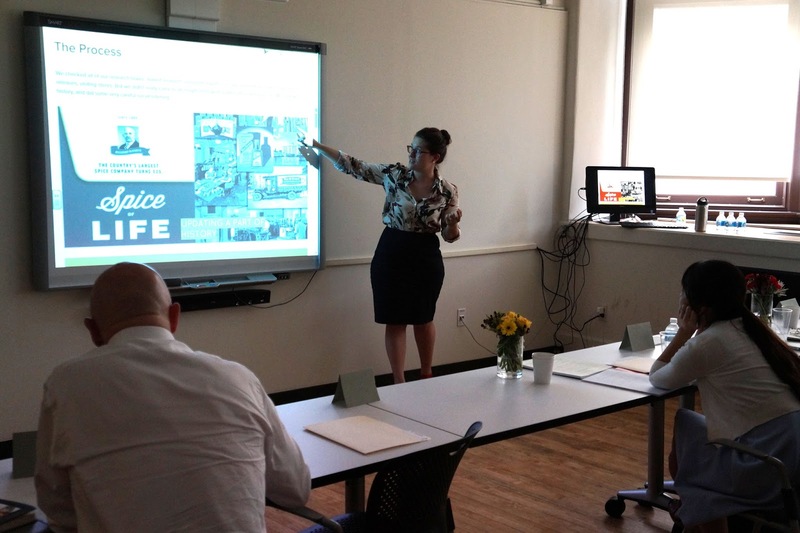 On Tuesday, May 31st, students individually presented a body of work that represented their two years in the program as well as the latest thinking in the communications field. These timed portfolio defenses in the areas of public relations, management, planning, research, media planning, art direction, and copywriting were evaluated using a rubric that focused on three areas: content, storytelling, and showcase. To prepare for the Portfolio Defense, students met throughout the year for group critiques, one-on-one advising, over-the-shoulder tutoring at the Portfolio Bootcamp, and with recruiters for the Portfolio-in-Progress (PiP) in February. It all paid off: every student passed!! Head of Global Communications, Technology, Sustainability and Brand at Bloomberg. Michael created and leads Bloomberg’s Brand Integration efforts - working more strategically and pro-actively with the entertainment industry. He also ran Global Communications for Core and Financial Products (aka The Bloomberg terminal). He has experience working with C-suite executives, national leaders, and high profile media professionals and personalities. President of the PR Council, former President of MSLGROUP North America, member of the MSLGROUP global board of directors and the firm’s Chief Client Officer. Renee was president of the 2014 PR jury for the Cannes Lions International Festival of Creativity and served on one other Cannes Jury in 2011. News Editor at PRWeek, the leading industry magazine covering the PR and communications industry and an adjunct lecturer in the City College of New York’s Branding + Integrated Communications program. He is a former newspaper journalist and a 2002 graduate of Fairfield University, where he was editor-in-chief of the student newspaper his senior year. Frank and his wife, Danielle Lipp, live in Brooklyn, New York. CEO of Grayling US, specializes in reputation management and has managed reputations across consumer product, technology, retail banking sectors. At MSLGroup he worked as North America Corporate Practice lead, Global Engagement Director for United Technologies, and head of the agency’s Strategic Partnerships and Alliances. Vice President Subscriber Business, Growth Markets at Tyco. An accomplished Fortune 100 executive with proven track record in increasing brand presence, lead generation and sales effectiveness. David has been named Ad Week “Top 10 Most Wanted Marketers” and featured in Ad Age 100 under 40. Group Director VaynerMedia. Natalie has extensive expertise in managing a variety of disciplines, including 360 creative ideation and production, cross-cultural marketing, influencer activations, and long term strategic planning. She’s spearheaded efforts for leaders like Campbell’s, Anheuser-Busch, Johnson & Johnson. Associate Director, Account Planning at Deep Focus, and formally served as VP of Brand Planning for both Grey and SS+K. Michelle has managed strategic planning and developed consumer insights for clients such as: The Lance Armstrong Foundation, Time Warner Cable, U.N. Peacekeeping, American Red Cross, and Target. Chief Strategic Officer, BAV. Chip Walker is a brand, business and cultural strategist. He has led the strategy function at brand agencies (BBDO, Y&R), a marketing services agency (Wunderman) and at a digital/social agency (StrawberryFrog), giving him a truly multi-disciplinary perspective. He’s also lead strategy across the WPP companies for some of its largest clients including AT&T and Bank of America. 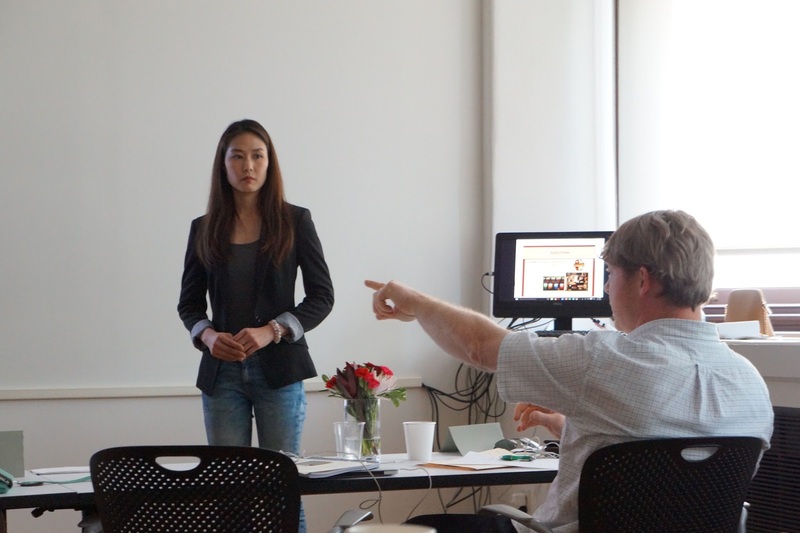 As Senior Director of Strategy at InterbrandHealth, Mei advises clients on brand strategy. She has gained a broad experience base over a 20 year career, spanning equity research, advertising, strategy consulting and entrepreneurship. Mei has a MBA and BA from Harvard, and an MS from a joint Harvard/MIT program. Director of Marketing at the New York Times and one of the spearheads behind the success of the native ad unit, T Brand Studio. The T Brand Studio is a result of the massive interest from advertisers looking to market their brands through the NYT platform. Founder and Chief Strategy Officer at The _________ Project, a strategy consultancy specializing in research, business strategy, creative strategy and moderation that lead to action. VP, Account Director at SS+K in New York City leading the Delta Air Lines account in strategic and creative development. Prior to joining the agency, Daidria led multicultural strategy for Coca-Cola and Wal-Mart at GlobalHue New York. With over 11 years of experience in the industry, she has worked on a range of brands. Senior Director, Brand Marketing – Water Portfolio at PepsiCo where she oversaw Superbowl sensation Puppymonkeybaby. She has over 14 years in the advertising industry helping brands like Marlboro, Verizon, Miller Lite, Sprite and American Family Insurance to build relationships with a diverse group of consumers. Freelance Copywriter/CD. Christine is an experienced, conceptual copywriter of digital, TV, print and non-traditional marketing ideas for the world’s most beloved brands. She has worked with Ogilvy, McGarryBowen, Atmosphere BBDO, 360i, Digitas, and Y&R Brand Buzz. Her clients include Hershey Bar, Reese’s Peanut Butter Cups, American Express, Dove, Ford, Kodak, Maxwell House, Miller, Sheraton, and New York Times. Award-winning CD/Art Director and Illustrator for a wide range of clients including U.S. Bank, Celebrex, Little Caesar’s Pizza, HBO, American Express, AT&T, Planters, U.S. Navy, Outback Steakhouse, ASPCA, and the Ad Council. Multidisciplinary Freelance Designer and Art Director. He has worked with Ogilvy & Mather, JWT, Grey NY, WWS, on a wide variety of branding and identity development projects. His client list includes Armani, Ferrari, Bass Ale, Sauza Tequila, Grand Central Terminal, IBM, E-trade, Wild Aid. He has won design awards from the Art Directors Club, Communication Arts, One Show, Graphis Magazine, and Print Magazine.